Manage needs, epics, user stories, features and the product backlog through a series of sprints, each using your choice of requirements management, model based systems engineering (MBSE) and test management with your preferred level of change tracking, configuration management and formal change control. Load user needs from external documents, data files and user interviews. Engineer requirements, verifications and other data in your process. Analyse for quality, coverage and traceability, and automatically generate comprehensive reports, documents, metrics and KPIs. Reuse and share information between projects. Full support for feature driven development and through-life system support. 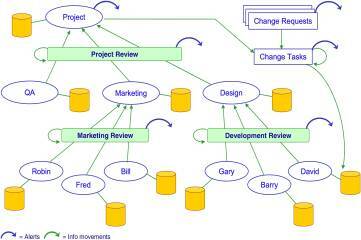 Extend requirements and test management with model based systems engineering (MBSE). Build models using your choices of SysML, SASD, UML, ADARTS, architecture, eFFBD, IDEF and process notations. Reuse, share and link models for product variants and builds, system-of-systems architectures and agile sprints. Link to requirements, tests, issues, defects and all other information. Get traceability across your entire process, in one tool. 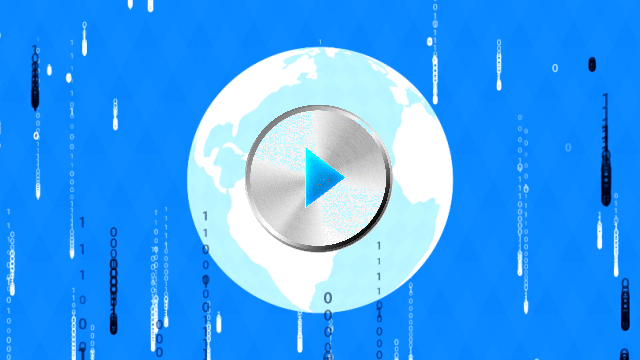 Full traceability from all parts of every version of all source documents, through all the engineering work, to every part of every version of all of your project’s deliverables. Have the assurance of guaranteed completeness and consistency in your project’s formal documentation. 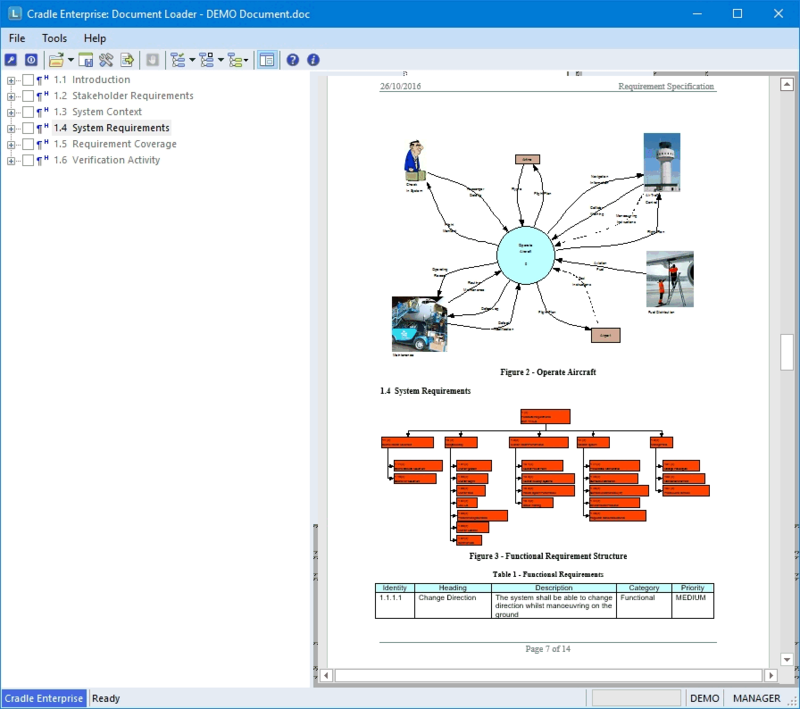 Connect the project Work Breakdown Structure (WBS) to the systems engineering data, collect actual progress directly form the engineering team to the project plan, and maintain an up-to-date project risk register. Cradle protects the confidentiality, integrity, and availability of your information. It is secure, reliable and resilient and adds to your Information Security Management System (ISMS) and minimises your InfoSec risks. 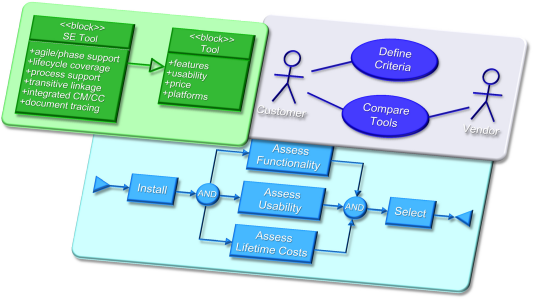 A range of single and multi-user requirements management and systems engineering MBSE tools for individual engineers and project teams. 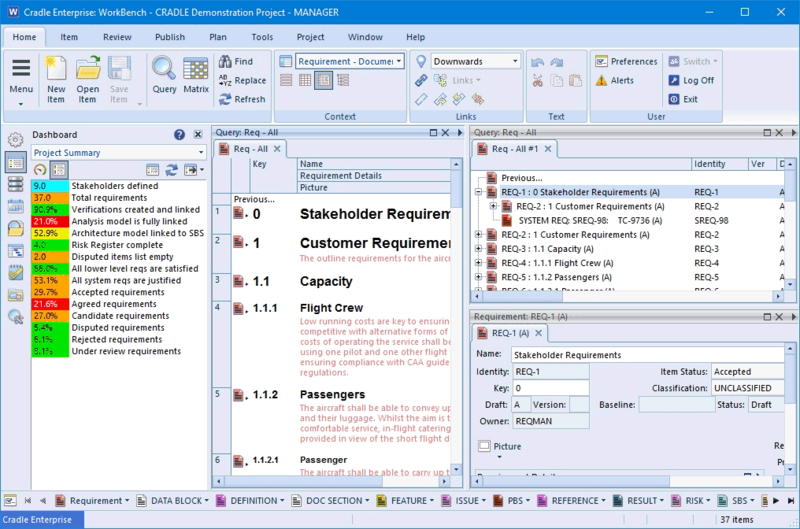 Cradle® is our requirements management and systems engineering software tool that integrates your entire project lifecycle in one, massively scalable, integrated, multi-user product. Whether your projects are small and local, large and distributed, or anywhere in between, Cradle can solve all your agile, requirements management, model driven development, defect tracking and test management needs in one place. With its unrivalled feature set, incredible flexibility, simple configuration and low cost, Cradle is the ideal choice if you are new to agile methods, requirements management or systems engineering. If you are a veteran, moving to Cradle will bring welcome relief from the constraints of other tools and the difficulties of maintaining links between multiple databases. You will finally be free to fully exercise your engineering skills and do what you do best, be creative and inventive. Cradle will become an integral part of your information security and information assurance strategies. Open and extensible - Variety of import/export, command-based, API and event-driven interface mechanisms. 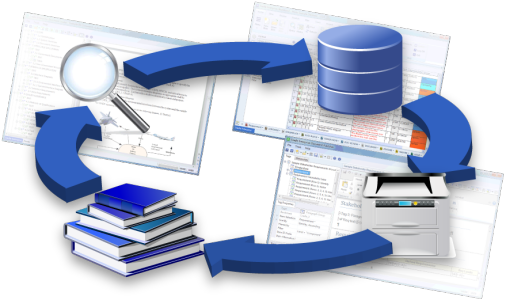 Support for Cradle, CSV, XML and other exchange formats. Specialist integrations with Office® and other tools. Cradle is used by hundreds of organisations in many industry sectors. Get the latest news from our monthly newsletter!